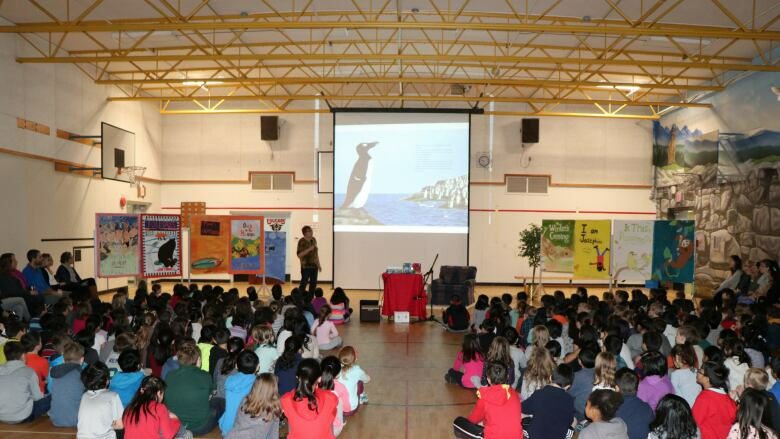 The author and illustrator of The Tragic Tale of the Great Auk, which won the 2017 TD Canadian Children's Literature Award, talks extinction with students in B.C. 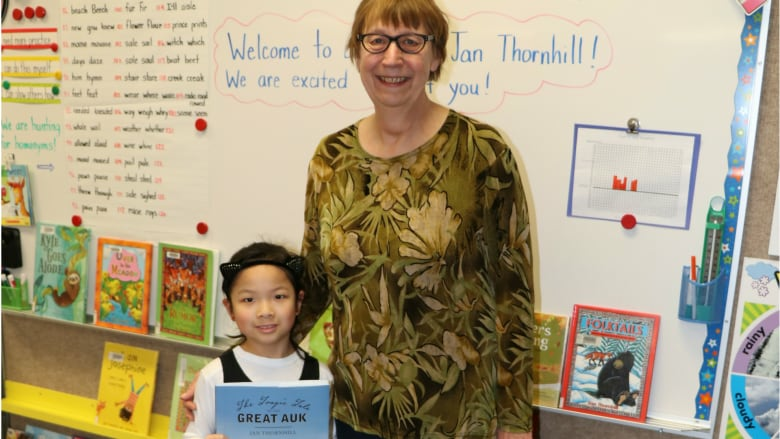 Jan Thornhill won the 2017 TD Canadian Children's Literature Award for her nonfiction picture book, The Tragic Tale of the Great Auk. Thornhill wasn't the only winner this year. 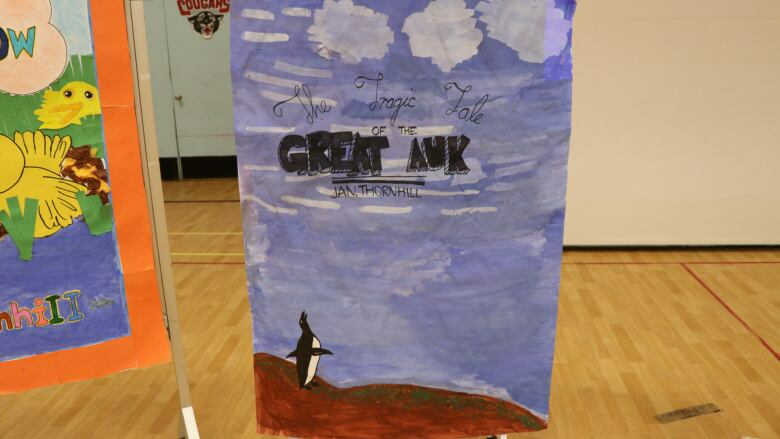 Monica Yu, a Grade 2 student at Cougar Canyon Elementary School in Delta, B.C., won the CBC Fan Choice Contest after casting her vote for The Tragic Tale of the Great Auk as her favourite of the five finalists for the $30,000 prize. More than 4,000 votes were cast in the 2017 CBC Fan Choice Contest. Iain Lawrence's YA novel The Skeleton Tree came out on top, winning the $5,000 prize. 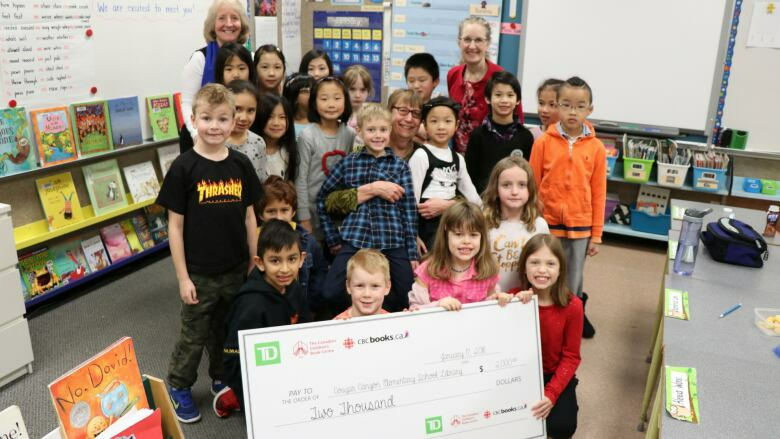 As the CBC Fan Choice Contest winner, Monica won $500, her school library received $2,000 and the school got a visit from the author Monica voted for: Thornhill. In January 2018, students from the entire school gathered for a special presentation from Thornhill to hear about the research that went into the picture book and the hidden facts she included for readers to find. After the school-wide presentation, Monica and her classmates got a special classroom visit from Thornhill, where they marvelled at the author's 'Museum in a Bag' — a collection Thornhill has assembled which includes creatures and curiosities she has come across in her travels. In preparation for Thornhill's visit, students adorned the school gym with handpainted recreations of her book covers. 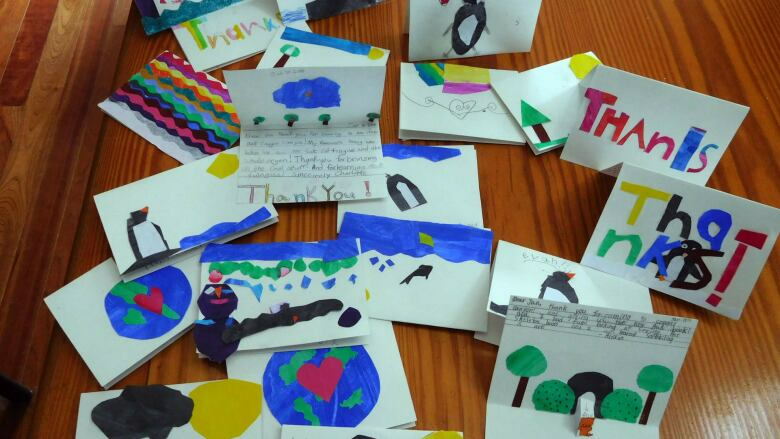 To express their gratitude, students sent Thornhill cards featuring the original artwork inspired by The Tragic Tale of the Great Auk. A shortened version of the morning's assembly can also be heard below.